Waller's parents and elder brothers served in the Royal Navy, his grandfather was a ship's doctor and his great-great grandfather was a wayward Victorian painter who earner a living as a portraitist and depicter of nautical genre scenes. 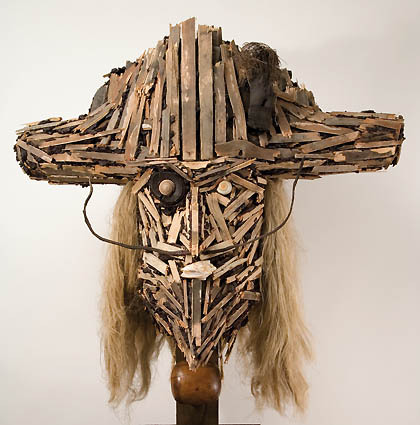 This background has led to his interest in ships' adventure tales and pioneering exploration that he expresses in his eccentric driftwood sculptures. Jonathan Waller studied at Chelsea School of Art, Coventry (Lancaster) Polytechnic and Nene College, Northampton. He has been given Coventry University Research Awards and was commissioned by London Underground to make a poster for Kew Gardens. Recent exhibitions include 'Jonathan Waller's True Adventures', at the Arlington Gallery, London and The National Maritime Museum, Falmouth, Cornwall, and 'Through The Looking Glass' at Three Colts Gallery, London.